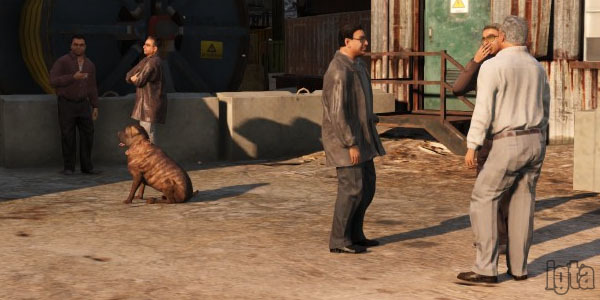 Los Santos is a crime-ridden hellhole with all kinds of thugs to ruin your day. Not all of these gangs are very noticeable and you won't realize you're surrounded until bullets begin to fly. About: These guys dress in nice shirts or suits and brown leather jackets with gold jewelry to boot. They operate out of the scrapyard in La Puerta which could be a cover for other operations. 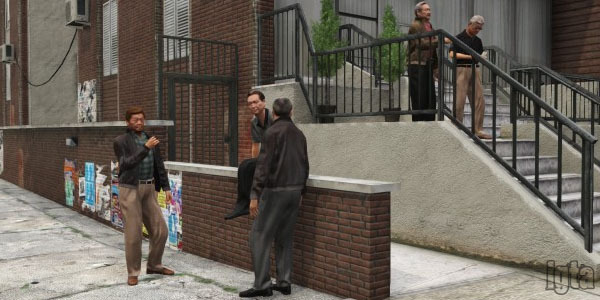 About: Enzo Bonelli is a known mob boss and real estate developer who managed to acquire a large majority of Los Santos construction contracts through various illegal methods including murder and labor racketeering. 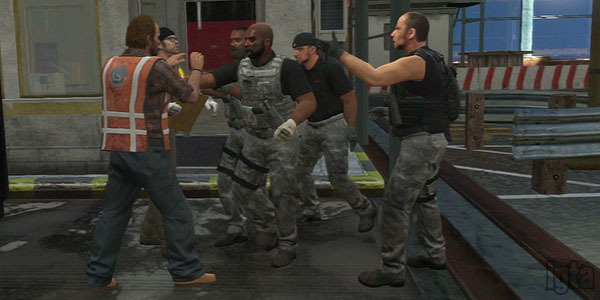 Mob members shown are in security roles protecting Enzo and wear suits although there are likely numerous others recruited. About: The smallest and least likely to worry about. Whereas the vast majority of gangs listed here are into drugs and weapons, the Civil Border Patrol is just two guys - Joe and Josef (plus Trevor for a short period of time) - trying to keep the United States safe from who they think are illegals. Just because they are not as violent as regular gangs doesn't mean they won't use force. Stun guns are always on hand to capture enemies of the USA. 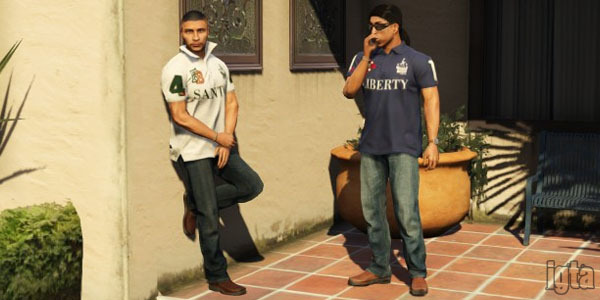 About: The Families are divided up into numerous sets spread out in Southern Los Santos. These sets sometimes fight each other instead of their main rivals: the Ballas. This gang likes sports and wears appropriately colored team jerseys for the Feud and Corkers. Dope and other drugs are prevalent. Protagonist Franklin Clinton belongs to a Families set with Lamar Davis. About: A small but feisty group in a section of Little Seoul. Not much is known about them but their membership and tiny territory don't give them much to stand on. About: A small Mexican gang led by criminal businessman Martin Madrazo. 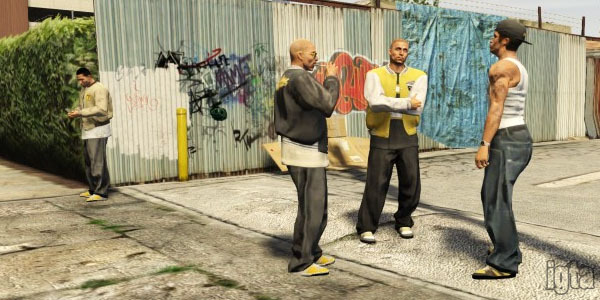 Members serve more as Martin's security than a traditional gang. They patrol his properties and take care of individuals as needed. About: Salvadorian gang involved in drug and weapon trafficking. Members sport numerous tattoos including on their faces. Main rival is the Aztecas who wear a lighter blue. About: Paramilitary private security contractor for top secret government projects and locations. Plus a smaller less lethal security team for hire. Not a "gang" per se but close enough to one. Needless to say they have access to the best weapons and defenses around. About: A literal army of a family that supports a major portion of Blaine County's drugs. 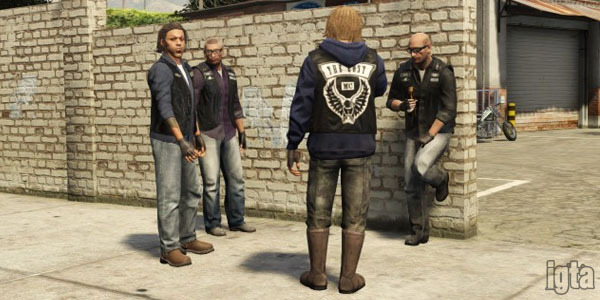 Their main rival is Trevor Philips and his gang plus the local bikers of the Lost MC. 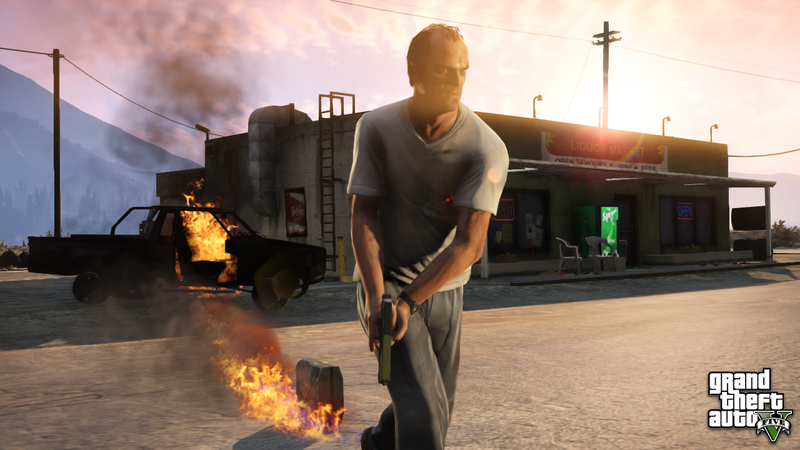 About: The motorcycle club that took over Liberty City now has a foothold near Los Santos. These guys and gals love to party and tear up the landscape on two wheels. Their business involves drugs and weapons which makes them a problem for Trevor and the O'Neils but drug use among members keeps them down. 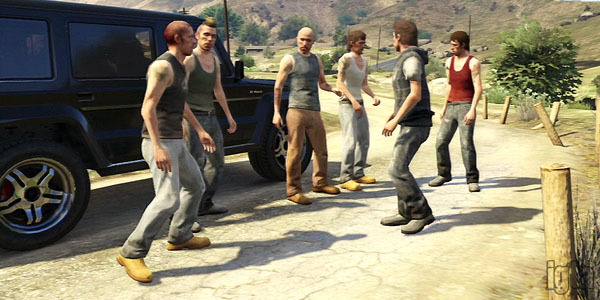 About: A similar organization to Merryweather found in some GTA Online jobs but more on the crime side of things. They are another military-influenced unit providing security to employers while also assisting in drug and weapon distribution. They dress sharp and drive black vehicles. About: A very small but very powerful group lead by protagonist Trevor. Main area of concern is drug production which puts him against the O'Neils but the weapons trade is a lucrative market as well. The Lost MC are also a concern since they are in the same area. About: Chinese gangsters don't screw around. Triads are more like a mob than a street gang so business is strict - although the leader, Wei Cheng, has a son that's more into the drugs than the business. 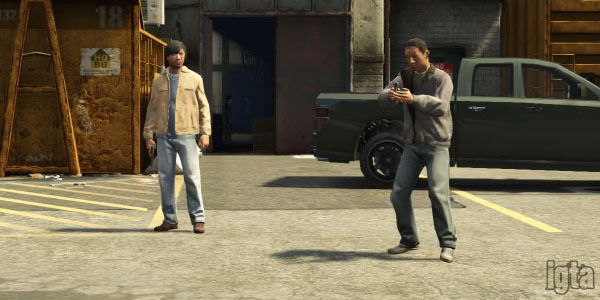 The Triads are looking for business partners in Blaine County which will make more enemies than friends. About: Mexican drug and gun smugglers that don't take very kindly to others in the same business although they have a small portion of turf to their name. Main rival is the Marabunta Grande who also happen to use blue as their color. Aside from organized crime circles, you may also feel the heat from friends or relatives of someone you assault. These include people on the street but among the more noticable are construction workers, migrant workers, and rednecks. Vagos are both from Mexico and Guatemala. 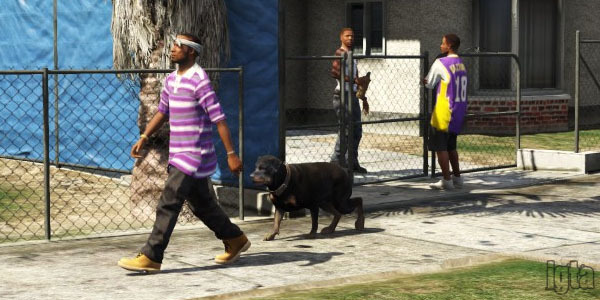 Families Are Bloods & Ballas Are Crips. 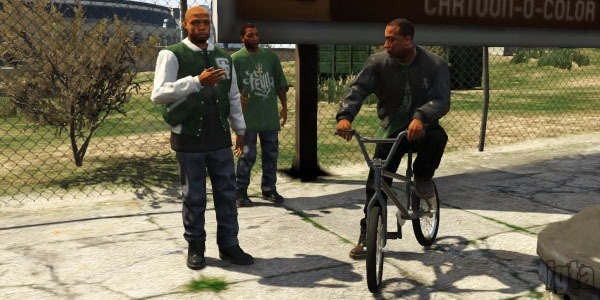 The Only Thing GTA Did Wrong Was In San Andreas, They Put The Familie (Bloods) In Grove Street Which Is Where The Ballas Were Supposed To Be. Also There Gang Info Is Somewhat Mixed Up A Bit. how do you be in a gang? 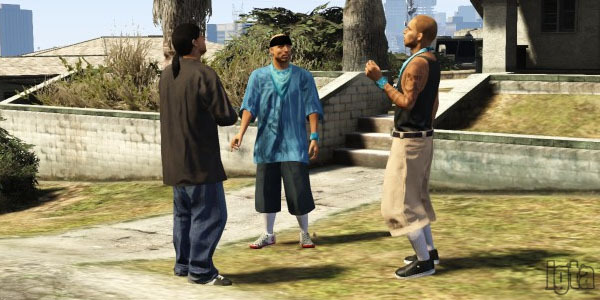 GTA 5 Gangs - Be careful of what color you wear or who you associate with. You may end up on the wrong side of a gun.